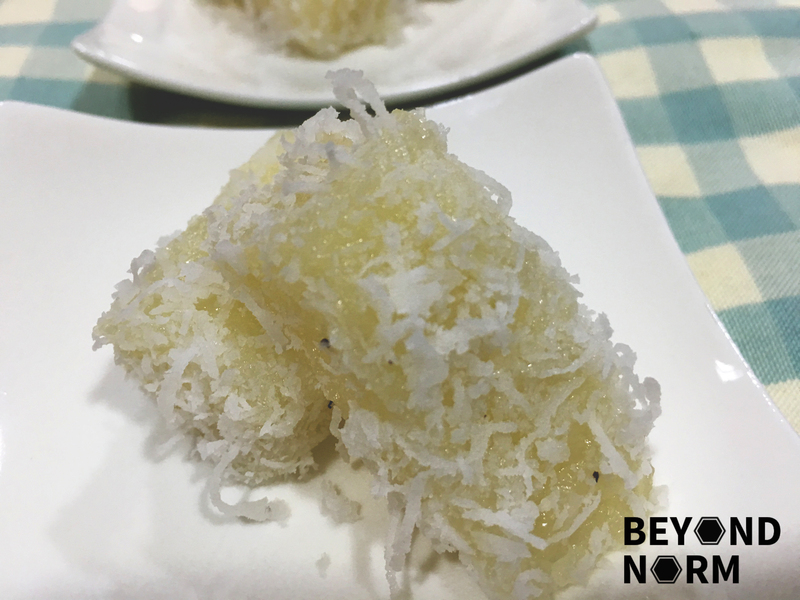 I do not know why but I just love to eat all kinds of tapioca desserts (especially this Steamed Tapioca Kuih with Coconut). 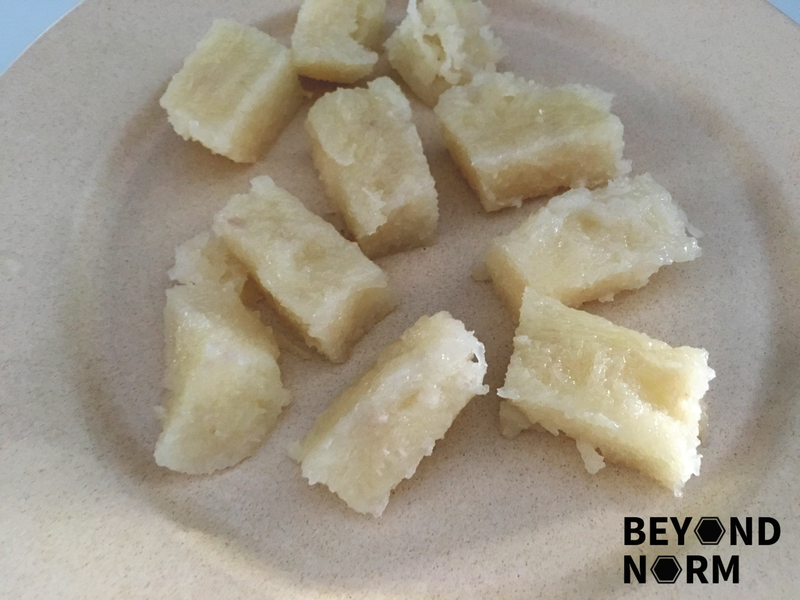 Recently, I have been seeing a lot of tapioca in the market so I bought some to make this soft textured, delicious kuih for our dessert. However, I had a problem…. I didn’t know which one to choose, they came in so many shapes and sizes! Which one, which one? I guess you can never go wrong when asking some older folks for advice. I saw two elderly ladies near me and I asked them. They gladly taught me how to choose the right ones like an expert. Happily, I bought 3 pieces of skinny and long tapioca and here I am sharing with you another one of my dessert “adventures”. I hope you like the dessert that I am sharing with you. 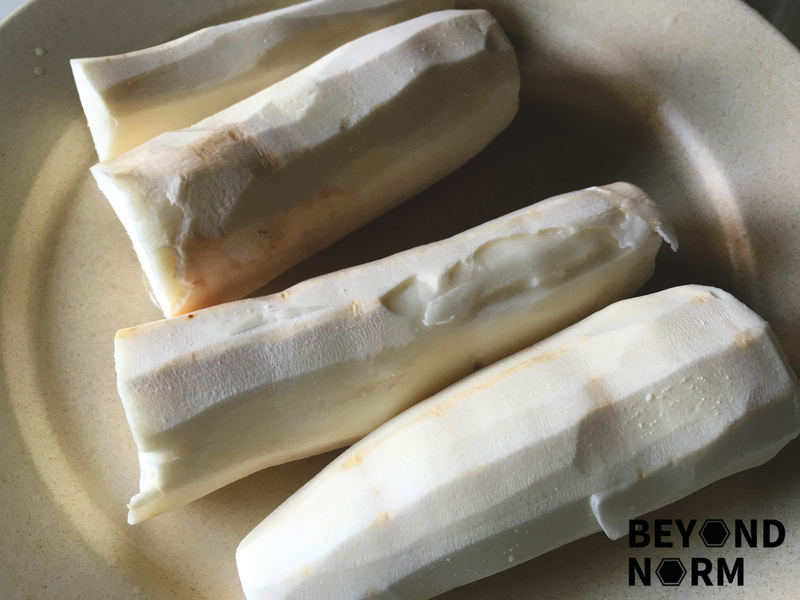 We love to hear from you so once you have tried this recipe, we hope that you could provide us with some feedback/comments either via our blog or by joining our Mummy’s Kitchen Facebook Group. You can like us on Beyond Norm’s Facebook Page or subscribe to our blog via the right side bar to get the latest updates. Peel off the skin and then rinse off the mud (if any) from the cassava/tapioca. 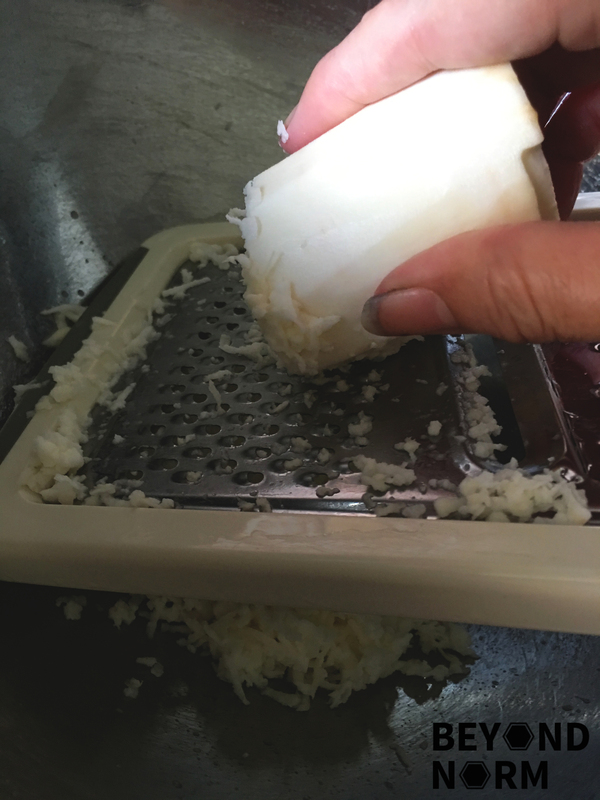 Dry the cassava/tapioca and then grate them. 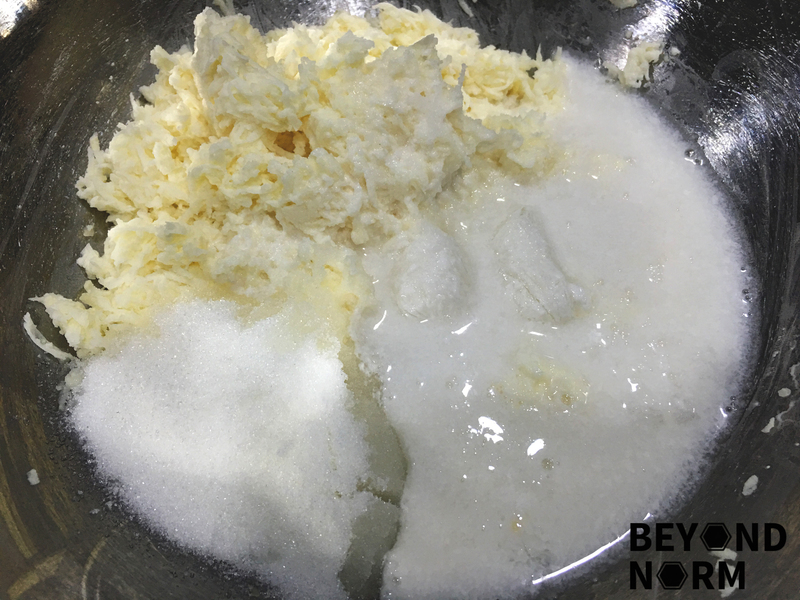 Mix together the grated cassava/tapioca, sugar, coconut milk, and sea salt. If you are using banana leafs, line the pan with the leaf. Place some of the cleaned pandan leaves on top of the tapioca mixture. Steam at high heat for 25 to 30 mins or until cooked. Remove from heat and leave to cool completely. 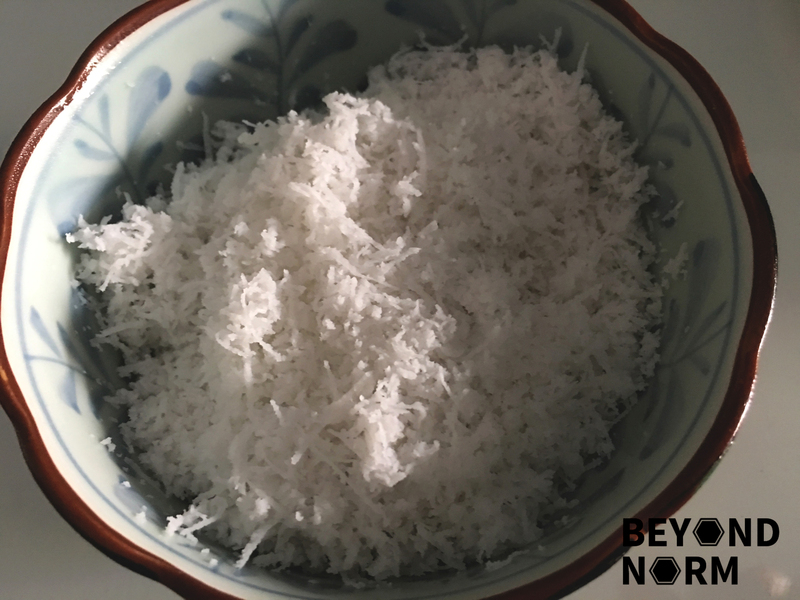 Now steam the grated coconut with salt or sugar for 5 mins. 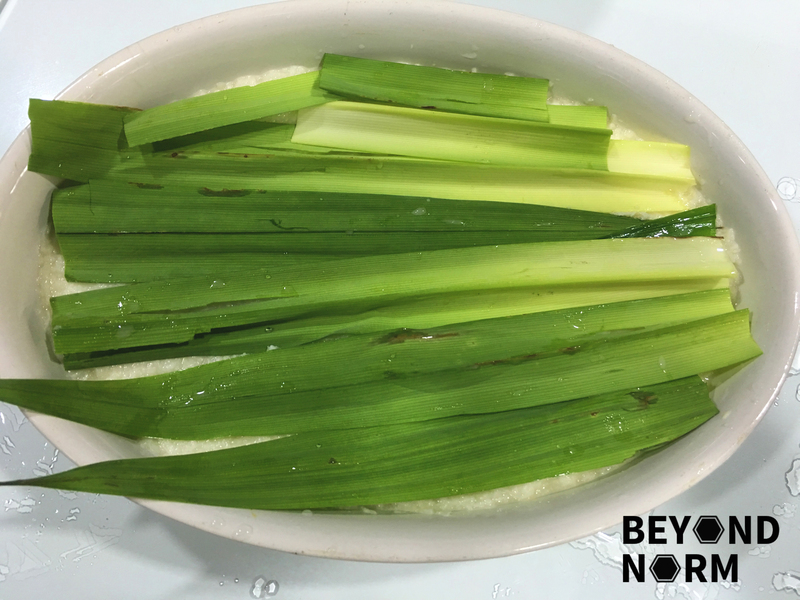 Remove from heat and leave to cool completely and remove the pandan leaves. 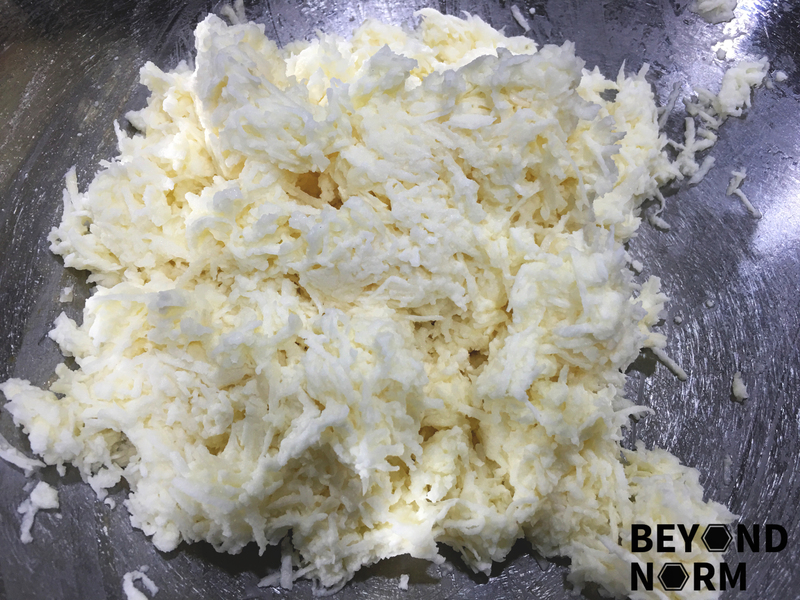 Once the tapioca kuih is cooled, cut into desired size. Coat in the prepared coconut and serve. May I know the amount of water to be added for step 3.